Happy July Space Freaks! Wow, what a year it’s been and we’re only halfway through it. 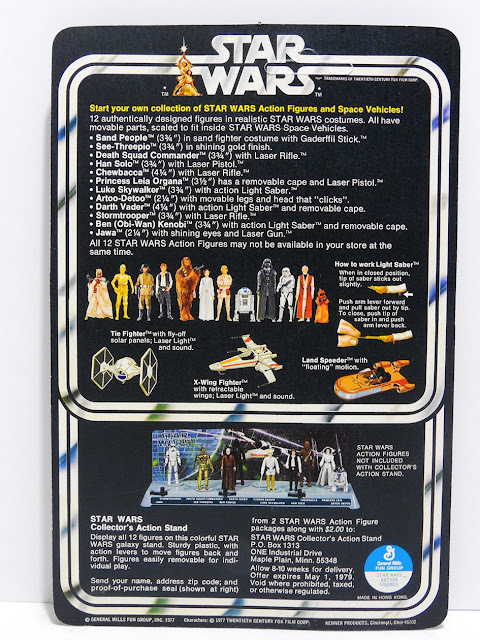 So far this year we’ve seen a major auction house wreak havoc across the hobby, a movie release that wasn’t well received by fans, and Star Wars Fandom becoming a hot topic on social media as in-fighting among fans reaches new heights. All of this together has created an interesting but extremely volatile market. The one thing that hasn’t waned in lieu of all of these activities is that amazing pieces continue to come onto the market and perform well even vs. a year ago. The market is still hot, and although some segments like loose figures have lost some luster over the past 24 months with a rise in the quality and availability of reproduction accessories, packaged toys and pre-production continue to be strong. With all that in mind let’s look at some of the great pieces that came up on the open market via eBay over the first half of the year. Well let’s start it off hot. 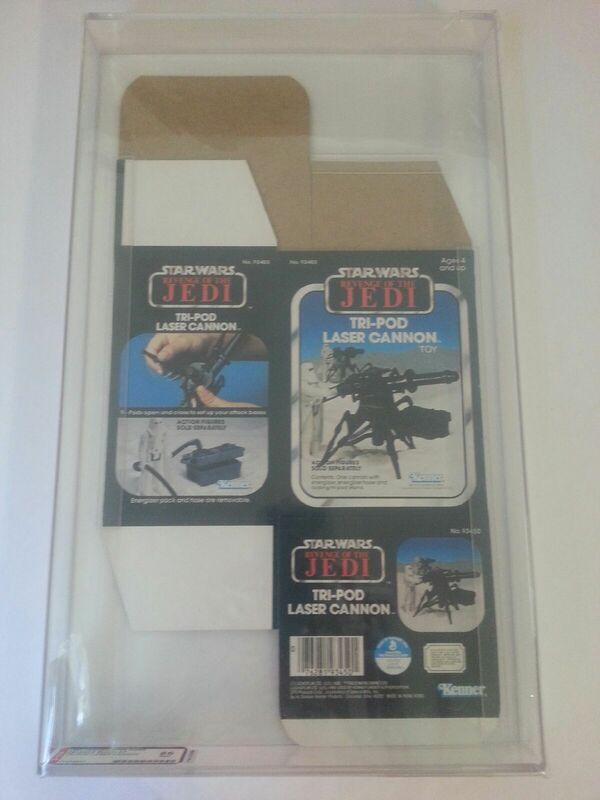 Here we have something we don’t see hit the open market all that often: a Revenge of the Jedi box flat for the Tripod Laser Cannon. A great piece and a hot growing segment of collecting, box flats represent an interesting intersection between the pre-production and production worlds. They can be either based on how you look at it, as a box flat is usually identical to the production boxes, however most of those that have been found represent internal or salesman samples, pushing the majority onto the pre-production category. In the case of this piece, the line is drawn clearly to the pre-production side of the equation given the Revenge logo. Overall a great price with pieces like this and mini-rigs well passing the $1,000 mark in recent history. Well, well, look what we have here, a clear bubble Luke Stormtrooper. 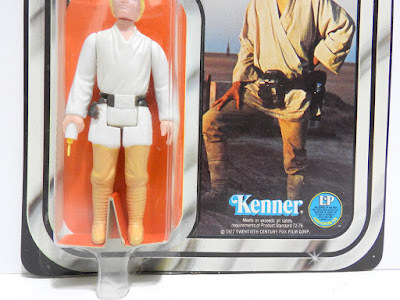 One of the best figures ever produced by Kenner, this is also widely regarded as one of the most difficult pieces to find with a clear bubble in the Power of the Force series. Given that and the overall condition, the price of $2,879 seems about right for a top end example. 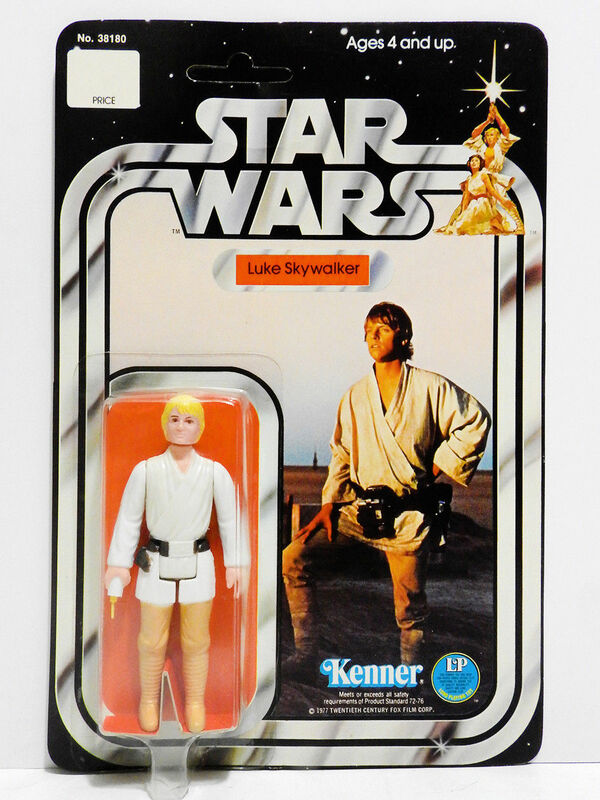 Moving back to where it all started we have a pair of Early Bird items: The Early Bird Certificate/Display and an Early Bird Mailer Set with a Double Telescoping Luke Skywalker. 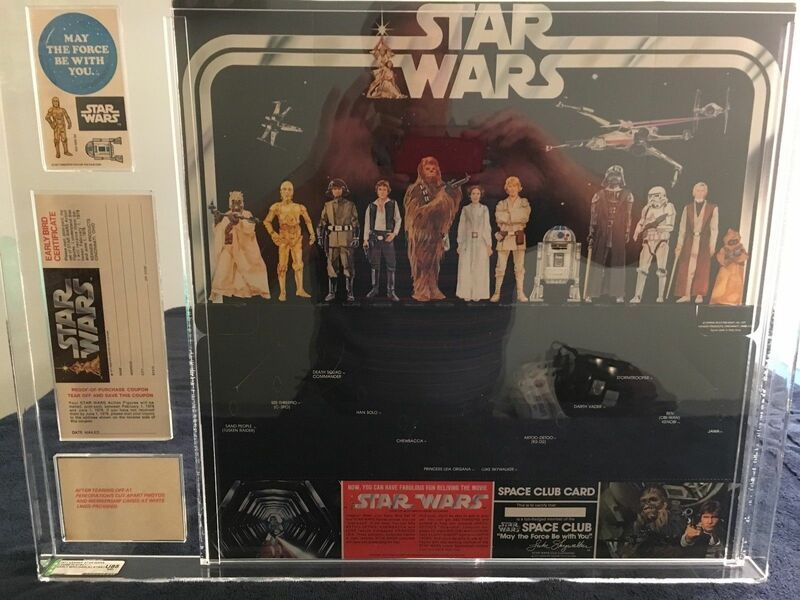 The Certificate represents the start of the Star Wars series and because of that it will always have a special place with collectors. In this example, we have an open graded example in great condition. Not sure why one would open a sealed certificate, but to each their own. For the condition, it’s hard to argue with a strong price on this, however I think someone could find an open EB Certificate and get it graded for quite a bit less. Next we have the payoff from the empty box promotion: a complete mailer set. This is a great example of a piece that seems to be getting harder and harder to find these days. 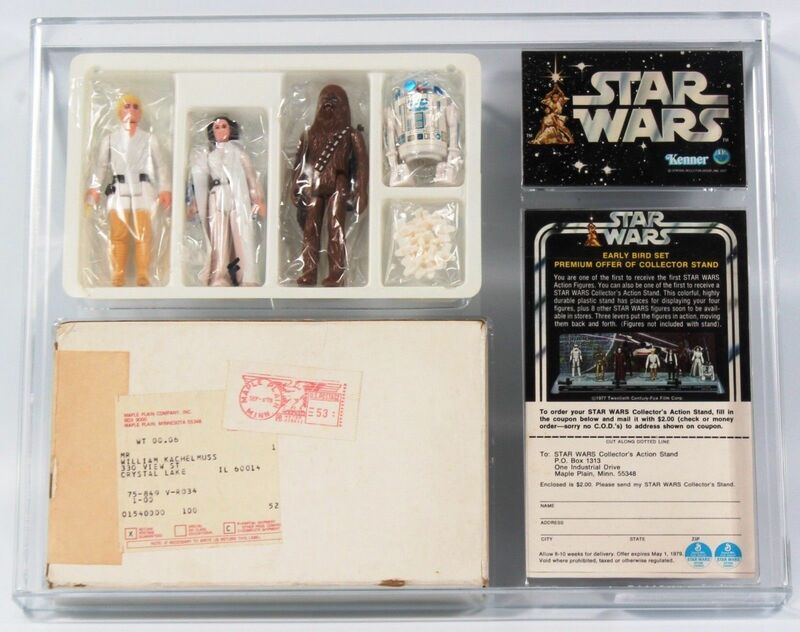 Graded 80, it’s a clean example as many of the mailer boxes that survived are significantly damaged. Good price for a piece that needs to be cased to be displayed properly. Here we have a truly rare piece and one that like many other rare items has grown in value over the past few years by leaps and bounds: a skin-wrapped Canadian MOC. 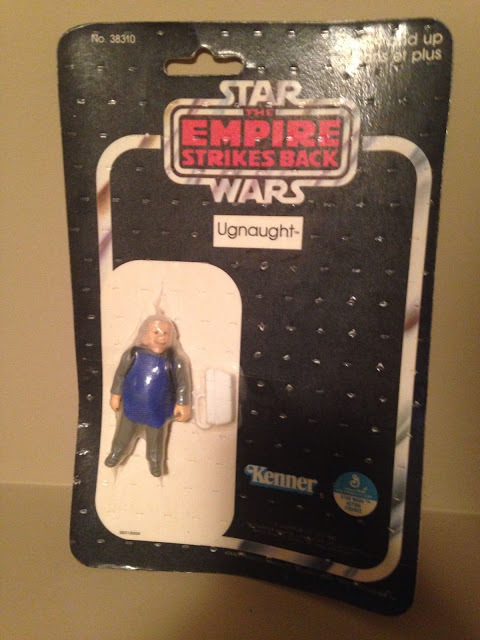 This particular example featuring the Ugnaught is one of a very few of these fragile and low production number items to survive into the modern era. Like Luke Hoth, AT-AT Commander (or as the Canadians knew him, General Veers) and a handful of others the skin-wrapped line was exclusive to Sears Canada for multi-packs. The figures are rare and when they come around they demand a commanding rate. In this case we can’t hone in on the exact amount, but it gives us an idea where they are trading for these days. 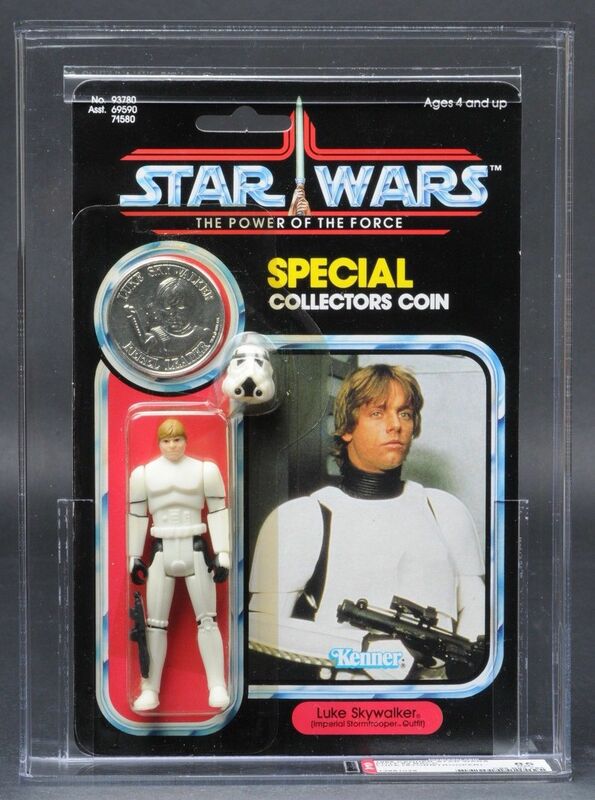 Hot and cold, the Power of the Force coin series is one of the most volatile segments of collecting when it comes to value and demand. 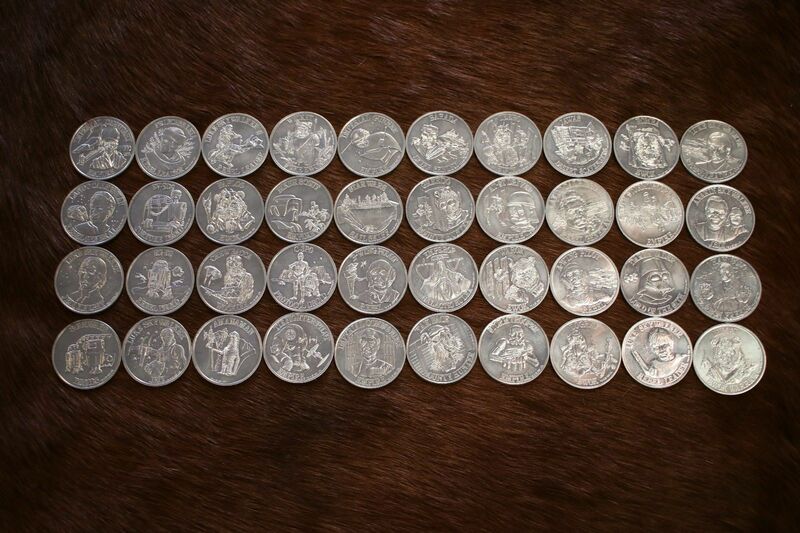 The concept of completing a full collection of 62 of these is something that many collectors aspire to and in comparison to many other focuses or runs, this set is quite obtainable with two essential things: time and money. In this case, we have what I would recommend as a good jumping off point for anyone who is looking to start from scratch: a nice lot of coins of multiple rarity tiers. This is a great way to get some tough pieces along with what can be at times annoying to find Category 1 and 2 coins. Priced right for the market, it makes for a good deal for both buyer and seller. For our last entry, we have what is considered by many to be one of the few Holy Grail pieces of collecting that made it to production: a Double Telescoping MOC figure. 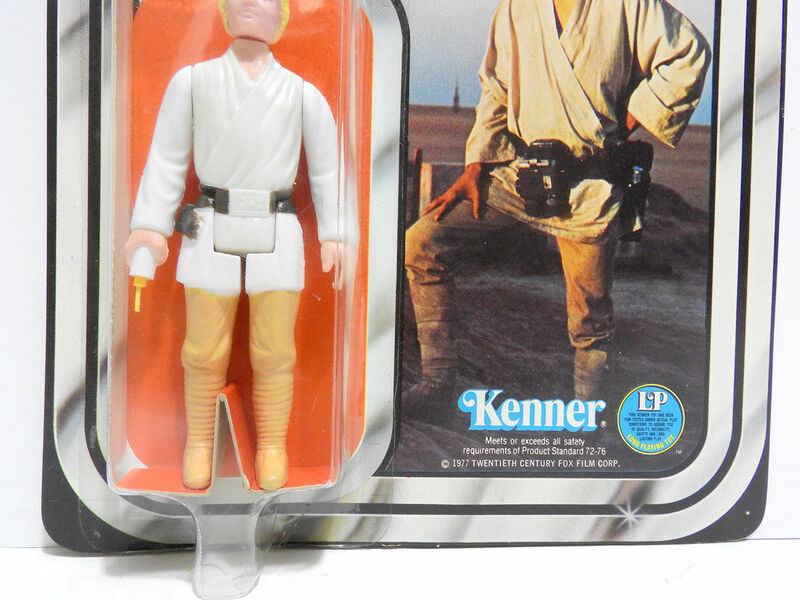 In this case we of course have a Luke Skywalker, the most common of the three DT figures. 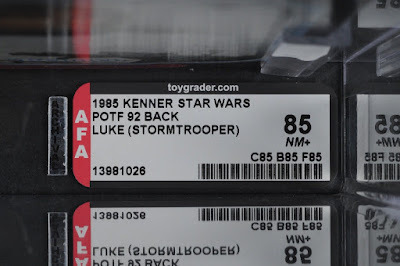 Now these have come up more regularly in the past few years then historically, and part of that is just due to identification of known examples and finds that have come into the market both from the wild and through former Kenner employees. Here we have a great example and the highest condition in terms of grade in recent history with a solid 80. The price is on par with what other examples have sold for in the last year, as well as the recent Hake's auction. Archive Party IV Sponsorship Opportunity!